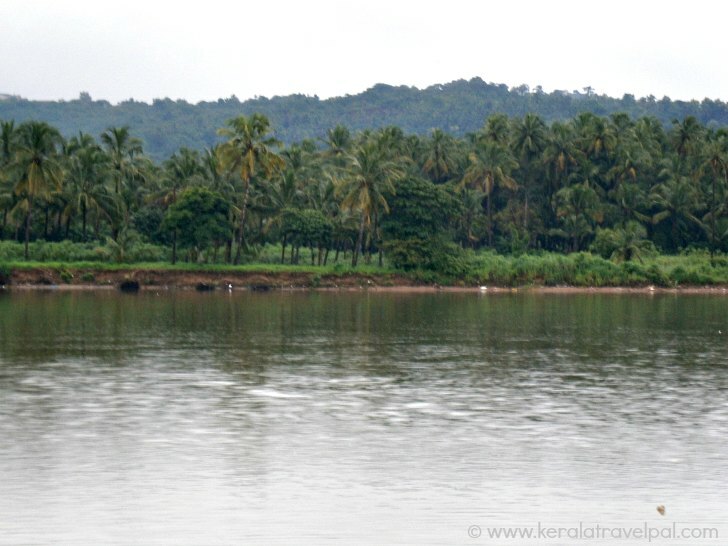 Parassinikadavu is a scenic river side village near Kannur town. The famed temple of Sree Muthappan, backwaters, Snake park and Vismaya Theme Park set this place aside as a great spot to visit during a Kannur tour. Muthappan's temple overlooks Valapattanam River. Several decades ago, the river was the means for earlier generations of devotees to get to the temple. Today, tourists coast around in boats along the placid backwaters near the temple. At first, visitors surrender to the might of Muthappan. Later they find themselves surrendered to the charm of the local vista. Generations have passed; for devotees the divine presence always stayed in this temple to guide them. The main ritual is colourful and dramatic. Profoundly inspiring to devotees, it has an air of excitement and awe to it. That is the ceremonial Theyyam, the bold dance where the dancer becomes a god. At Parassinikadavu temple, after taking over the body of the dancer during the daily performance of Theyyam, Muthappan speaks to devotees through him. The daily performance of Theyyam is only one of the many things that set this temple wide apart from the rest of Hindu shrines. Those who may have associated vegetarianism with Hindu tradition may be astonished to see some of the major offerings to Sree Muthappan. Dried fish, alcohol and meat! Yes, Muthappan loves that all! Well, do not rush there with a carton of beer. The norm of the place is Toddy, the coconut based liquor. The number of dogs inside Parassinikadavu temple compound is significant to miss any one’s attention. Dogs are beloved companions to Sree Muthappan. So beloved that a couple of bronze dog sculptures prominently adorn the temple entrance. The saying is that, some years back, temple authorities removed dogs from the courtyard. The Theyyam failed to perform, as upset Muthappan did not take over the dancer’s body. Shaken authorities had to bring the dogs back in, and only then the Theyyam started to perform. For generations, Sree Muthappan has been the benevolent light in the struggling lives of the common man in the northern districts of Kannur and Kasaragod. The fame of the unconventional Deity has now spread far and wide. People from distant districts are flocking here to get divine blessings. 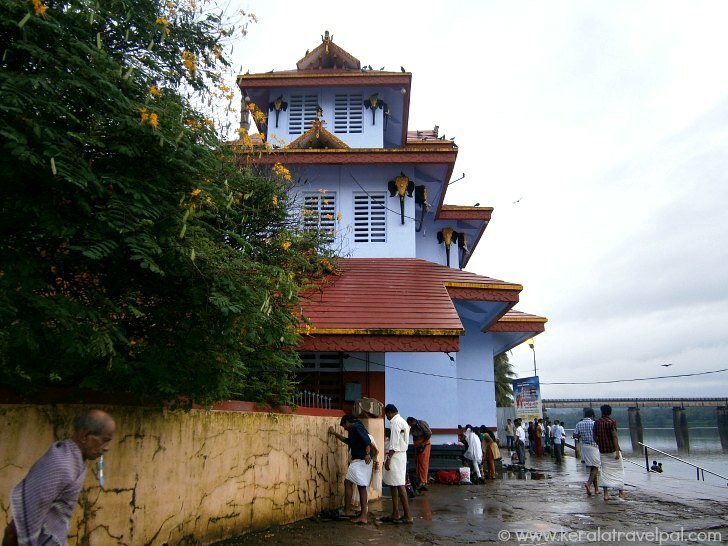 Parassinikadavu temple accepts every one regardless of caste and creed - a great divergence from other Kerala temples where non-Hindus are not permitted inside the temple. Muthappan is adamant that all his devotes must be taken care of. There is no compulsion on devotees to spend money. The prices of offerings at Parassinikadavu temple stay even below nominal prices. Price hike is something that is very unusual here. Parassini temple also provides free food and accommodation to all reaching there to worship. Muthappan reassures the temple authorities about expenses and interestingly the affluence here is ever increasing, regardless of prices. Theyyam is performed every day between 5 and 8 A.M or 6.30 and 8.30 PM. Devotees piously open up their worries and troubles to the Theyyam. Quite attentive to devotees, Theyyam soothes them and often prescribes rectifying measures in a commanding tone. Uniqueness of Sree Muthappan, interesting rituals and scenic boat rides attract several foreign tourists to here. Many also find it worthwhile to visit the Snake Park which is just 1o minutes ride from the temple. Sree Muthappan is the hunter or Kiratha incarnation of Lord Siva. There is more to Muthappan than that since he has a Vishnu aspect as well. Muthappan, although a single entity, personifies Siva and Vishnu. There are many stories about Sree Muthappan. The most popular one goes on like this. A childless Brahmin couple did lot of prayers to Lord Siva to have a child. One day, the lady finding a baby on the banks of the river took him home and raised him as son. The foster child from young age broke all rules. Drinking toddy and killing and eating small animals were all great taboos. He indulged in those and mingled with lower caste untouchables. Parents felt deeply dejected, till one day the boy came up and showed them his divine form. Upon blessing his parents, Sree Muthappan left there. In the wandering life that ensued, he climbed on trees and drank toddy. Once, an angry toddy tapper confronted him. Muthappan turned him into stone straightaway. His wife offered dried fish and rice which made Muthappan pleased and turned the husband back into human form. After wandering at different places, finally Sree Muthappan settled at Parssinikadavu, thereafter helping devotees. In several regions of Kerala, fathers elder brother is called Muthappan, a name that contain some respect. Snake Park is only 10 minutes ride from the temple. It is an easy ride as taxis and auto-rickshaws are readily available. The Snake Park aims at conserving and protecting snakes of all kinds. About 150 types of snakes are kept here, in three snake pits and fifteen glass chambers. Two separate glass cases are devoted to King Cobras. Vipers, Cobras, Kraits and Pythons and many more species attract several visitors to here. Snake bites are treated here at the Venom Treatment Centre (Visha Chikilsa Kendram) effectively. The park allows visitors inside during 9.30 A.M to 5.30 P.M.
From Kannur, follow NH 17 (Edappally hwy). At about 15 kms is Dharmasala Junction. From there turn right to Parassinikadavu road. Follow the road till Madappura ( 5 kms). Accommodation Options : A few choices near the temple. A variety of hotels, lodges and homestays at Kannur. Nearby Attractions : Thalasseri fort, Arakkal Museum, Meenkunnu Beach, Mappila bay, Payyambalam beach, Kannur town( shpopping & food), Dharmadam Island, Andalur Kaavu, Kizhunna – Ezhara beach, Muzhappilangad drive-in-beach and Sea View Park.